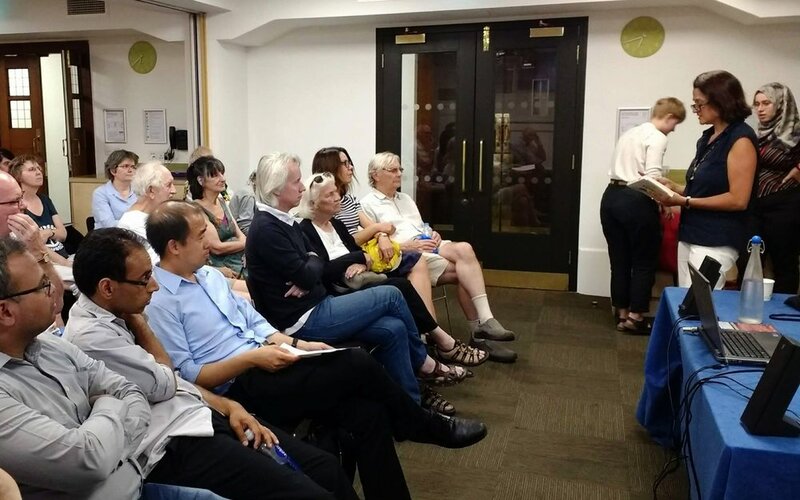 Tower Hamlets CND, which will be celebrating its 60th anniversary next year, held a meeting at Whitechapel Library on 8th November. 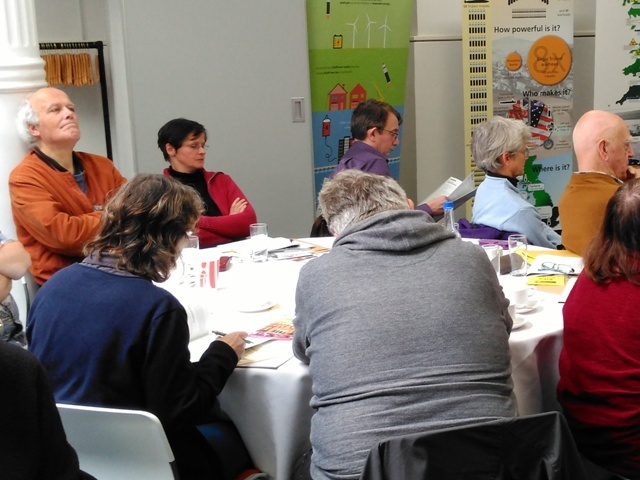 The main focus was to discuss the aim of reaching out to other organisations* with similar aims, both inside and outside the borough, with a view to the reciprocal dissemination of information about campaigns, events and matters of general interest. This forum was described as a ‘Network for Peace’ with the primary strands being social justice, sustainability and peace. The Chair of THCND, Phil Sedler, explained that he had contacted several organisations about the meeting and that some had expressed interest in the project, whilst not being in a position to send a representative to this initial brainstorming. It was emphasised that this focus for other groups within the borough would have an informal structure which it was agreed is preferable to many, in particular the young. Carol Turner from London CND and Georgia Elander, staff member, hope to enthuse people to participate and will lend administrative support until the end of February, by which time the group should have found its feet. The importance of social media was highlighted, and LCND are offering to organise and run a workshop on using technology, including how to set up a Facebook page, using Twitter, advertising events, etc. The Chair explained that some thought had been given to data protection issues and it was important that each organisation be approached by one of their own members - a cascade of information was a useful analogy. GE will send out the initial email inviting organisations to join and a second with details of the social. THCND’s next meeting will be on 10th January 2019 at Kingsley Hall and the AGM will be on Thursday 2nd March. CND conference - last chance to register! Registration for CND UK’s AGM and conference closes this Friday, 12 October. It takes place in Bristol this year, on the weekend of Sat 20 and Sun 21 October. The AGM is Saturday – your chance to vote on policy for the coming year, including London’s motions, and elect CND’s national representatives for the coming year. Full details here, including registration for individuals and organisations. London CND executive committee member Walter Wolfgang was awarded the 2018 Ron Todd Peace Prize at a ceremony on 10 March. A life-long campaigner for nuclear disarmament and an organiser of the first Aldermaston march, Walter would whole-heartedly approve of the Ron Todd Foundation’s motto: you don’t have power if you surrender your principles – you have office. Ron Todd was a London lad who left school at 14. He joined the Transport and General Workers Union, the predecessor of today’s Unite union, when he worked at the Walthamstow Ford factory and became the union’s general secretary in 1985 until he retired in1992. The TGWU was one of the earliest affiliate of CND, and continued to promote nuclear disarmament under his leadership. Ron became a Vice President of CND until his death in 2005.